With the weather turning cold, find a warm welcome, a cup of tea and an exciting winter collection where high Odessa fashion meets refined southern hospitality. Today, without a doubt, Odessa is the most fashionable Ukrainian city, known for its beautiful and exquisitely dressed women, dapper and charismatic men. Not only that, but Odessa is also famous for wonderful, cordial places that always make one feel comfortable and sincerely welcome. It is because of the impeccable taste of Odessa residents that the city was chosen as the location for the only official Barbara Bui representation in Ukraine. The initial idea of creating a Barbara Bui boutique was inspired by the desire to create a stylish place for ourselves and our closest friends. A place where the highest quality and the most exquisite style would complement each other. A place where the staff would treat each client as a welcome Guest, always ready to help him or her feel more confident, to share a sense of polished style and positive energy. A place where coffee and tea would always be complimentary for the clients. The owner of the Odessa boutique is often seen on the premises, greeting guests personally, as often happens with typical small European shops. She has long been a fan of the brand, and brings her own perfect fashion sense to the boutique. We created an atmosphere of comfort and safety that encourages clients to return again and again. We are especially proud of our team of stylists and consultants, who all love their profession and are excited to work with every boutique client. On weekends, guests will always find pleasant little surprises like a glass of champagne, sweets and fruit. As the colder weather moves in, it is time for Odessan fashionistas to consider if their fall wardrobes are missing the essential pieces of the season. The winter collection at Barbara Bui evidences the designer’s signature delicate balance between masculine and feminine energies, as well as her love for leather. Strength and confidence are combined with sophisticated, sensitive sensuality, while the energy of vibrant colors disrupts a black background. 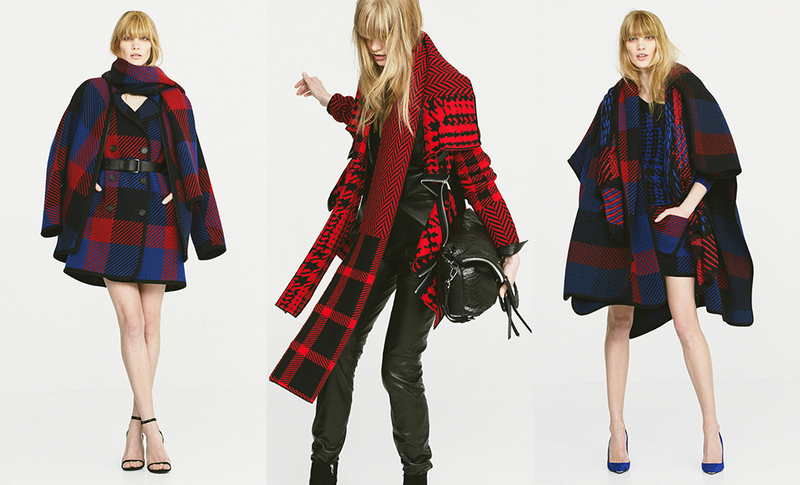 The designs are in keeping with the classic Barbara Bui approach: alluring, powerful, but also exceptionally elegant. Тhe collection is a perfect contemporary street style choice for the Odessan fashionista personality. Visit the Barbara Bui boutique store in Odessa at 39 Katerynynska Street.